Edmund Roberts was a pupil at Bloxham between 1907 - 1909 and was the son of George and Elizabeth Roberts and came from Stoke Newington in London. On leaving the school he undertook the study of Agriculture at Aspatria College, and on graduating he took over farming his family land in East Mersea, Essex. 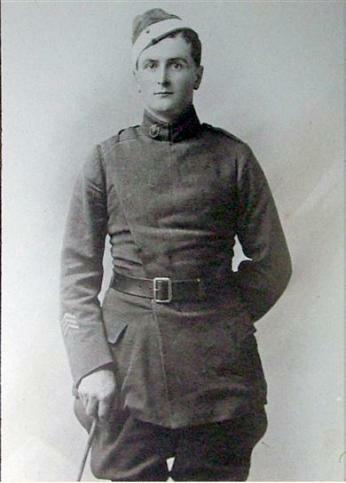 At the outbreak of war he enlisted in company with his great friend Harry Cross at Colchester. Both being keen horsemen, the enlisted into the 11th Hussars. On the 15th November, Edmund was commissioned as a 2nd Lieutenant into the Essex Regiment, and embarked on a period of training in Sussex. Early 1915 was spent in hospital having his wisdom teeth removed, and when he recovered he returned to service and was in training until late Summer. The Battalion received orders to progress to France, and his first taste of action came in September 1915 at the Battle of Loos. 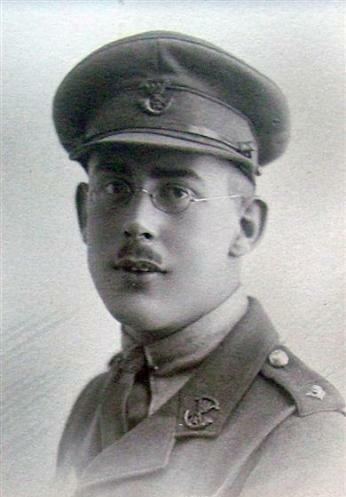 Having survived, Edmund then moved to Belgium where in October 1915 he was taken ill, with tonsilitis and jaundice. He was at hospital in Etaples and then returned home to convalesce, finally rejoining this time with the 12th Battalion in Harwich. By June 1916, he was back in France and was thrown into the Somme offensive. At the end of July 1916 he applied to join the Royal Flying Corps but this was unsuccessful. The months of trench warfare took their toll and in November 1916, he was invalided home suffering from shell shock, and possibly the effects of poison gas. As a result of this, his desire to join the RFC was permenantly excluded, and he was posted back to France in August, where he served again with the 11th Batallion and took part in the Battle of Cambrai. In January 1918 he took command of the company and in March was killed in action on the opening stages of the massive German Spring offensive, codenamed Operation Michael. 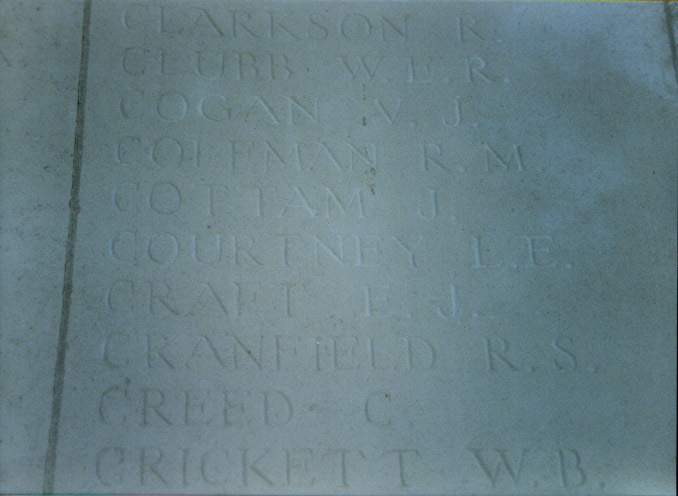 His body was never found and he is commemorated on the Arras Memorial. He was 24 when he died. 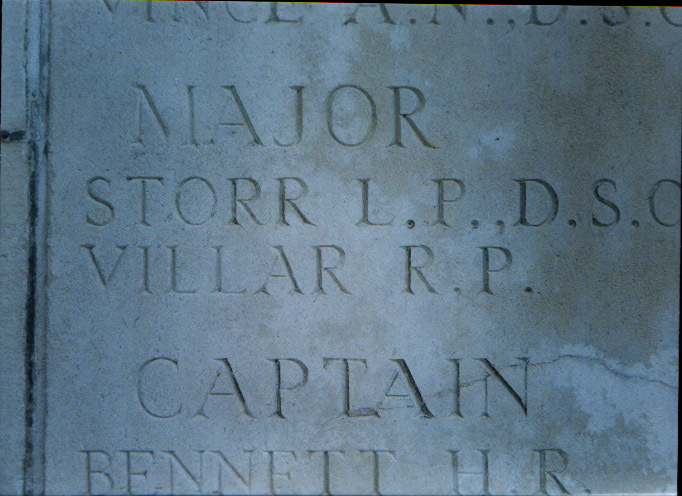 Major Robert Villar was a pupil at the school between 1902-1904 and was the oldest son of William and Annie Villar, who came from Taunton. His father was an auctioneer and estate agent by trade. 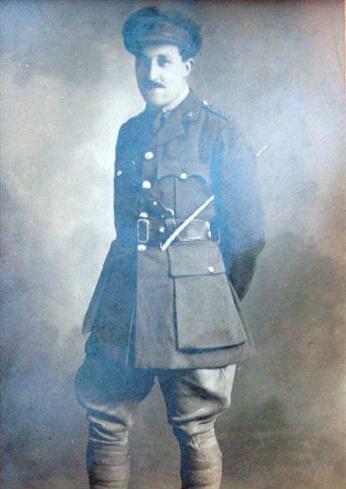 On leaving the school, Robert enlisted into the Royal Irish Constabulary and was under going his service when he was allowed to leave and was commissioned into the Kings Liverpool Regiment with the rank of Captain. Very little is known about his service but he was in command of the company when he was killed near St Quentin on the opening days of the German offensive. His company was in trenches near Vaux when they were ordered to provide carrying parties to take supplies to the 2nd Battalion the Bedfordshire Regiment. As this was happening, the Germans attacked and knocked a hole through the British lines. Reinforcements were urgently called for and Robert rushed forwards with his men to defend a patch of the line claled Stephens Redoubt. At some point that day he was killed and was never seen again. His body was never found and he is commemorated on the Pozieres Memorial. Godfrey Burnside Hudson was the second son of the Reverend Arthur Hudson and his wife Mary. The Reverend Hudson was the vicar of Huntsham in Devon. He was born on the 16th April 1898. Godfrey was a pupil at the school between 1910-1911 and he then progressed to St Edwards School in Oxford. He enlisted into the Gloucestershire Regiment in Febraury 1916, despite noting on his attestation papers that he suffered from extremely poor eyesight. It is not known what service he saw during the next two years, however we know that on the 18th April 1918, he was near the small French village of Festubert, holding a "keep" that is to say a strongpoint in the line (also commonly referred to as a Redoubt). Like the two previous Bloxhamists who died in 1918, the Gloucesters stood in the way of 3 German armies trampling the Allies out of their way in a last desperate attempt to break the Front and finally win the War. The Glosters captured a German Sergeant Major on the afternoon of the 17th April and he provided vital information about the German plans. At 4.15am on the morning of the 18th, the Germans unleashed hell on the British. The shell fire was incessant, with thousands of high explosive, gas and incendiary shells dropping all over the front line. The keep at Festubert East where Hudson was posted was atomised, but miraculously Hudson survived the bombardment, one of only 8 from a company strength detachment of men. As the Germans made repeatedly suicidal attacks throughout the day, including using field guns at near point blank range, a massive hole suddenly appeared in the British line. 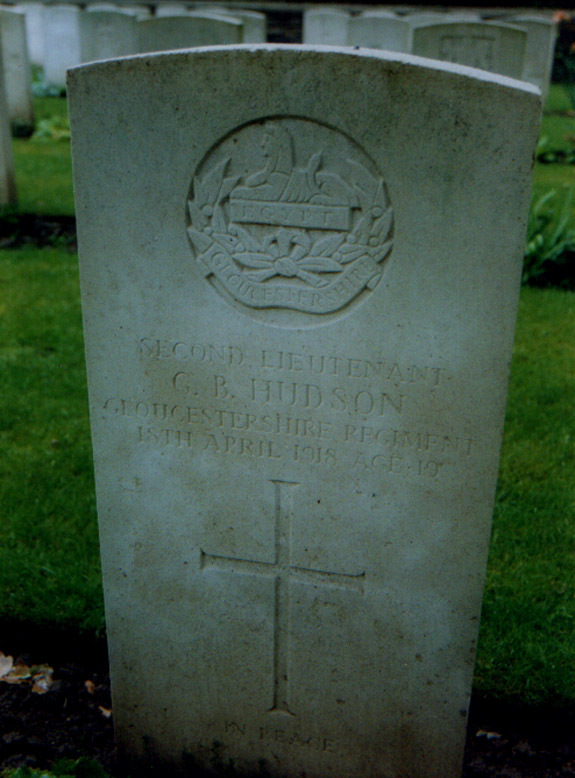 The Germans poured through and massacred the beleaguered defenders, including Godfrey Hudson. He is buried in the lovely Gorre British and Indian cemetery near Richemont L'Avoue in France. His headstone was vandalised in 2010 but thankfully was swiftly repaired. Geoffrey Thomas was a pupil at the school between 1893-1894 and on leaving the school he progressed to the University of London where we was a member of the OTC. 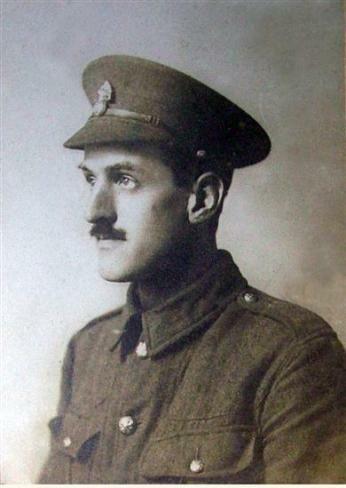 At the outbreak of War he immediately enlisted into the Royal Fusiliers, and served with the Infantry before being transferred into the Trench Mortar Battery. He was commissioned in 1916 on the recommendation of his regiment, and returned to France in 1917 as an officer with the Lancashire Fusiliers. He was promoted to assistant adjutant in 1918 and on the 25th April the regiment was in trenches near the Kemmelberg in Belgium. At 2.30am they were shelled heavily with gas and HE shells and the Germans launched a massive attack against the British lines. The succeeded in breaking through the lines, and a terrible casualty toll was inflicted on the men of the Lancashire Fusiliers. By morning, over 400 officers and men were missing believed killed, including Geoffrey Thomas. He was 36 years old when he died. 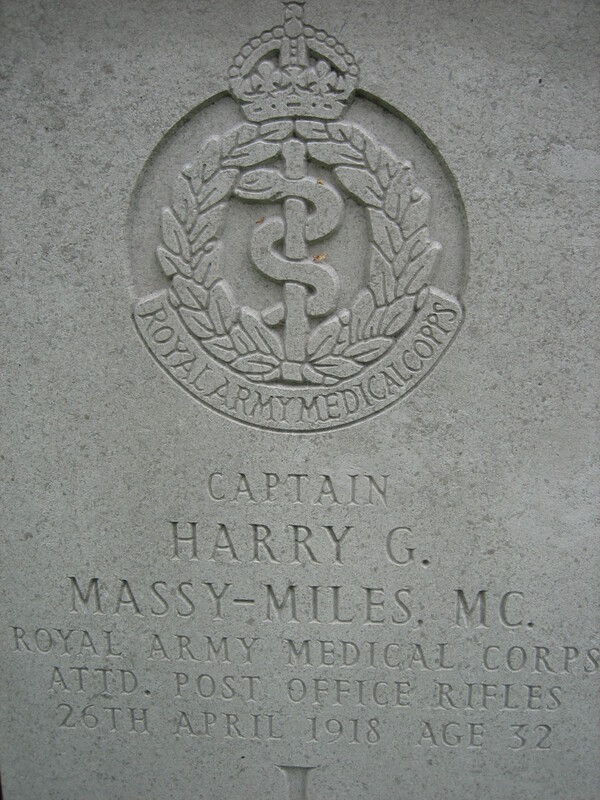 Harry Godfrey Massy-Miles was the son of Revd. Joseph Henry Miles, and Adelaide Mary Louisa Massy. He was educated at Bloxham School from 1900 to 1903, and later studied medicine at the Royal College of Physicians of Ireland, where he achieved his LRCP. He was married on 3 July 1911 at Zion Church, Rathgar, Dublin to Charlotte Elizabeth Josephine Ingle, eldest daughter of A. F. Ingle (Superintendent of Indian Post Offices), and Mrs. Ingle of 24 Grosvenor Place, Rathmines, Dublin. 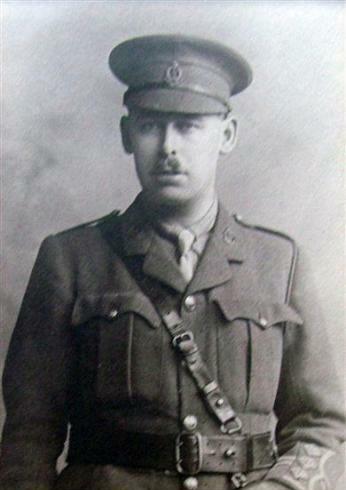 He was assigned to the Royal Army Medical Corps and appointed a temporary Lieutenant on 21 December 1914. 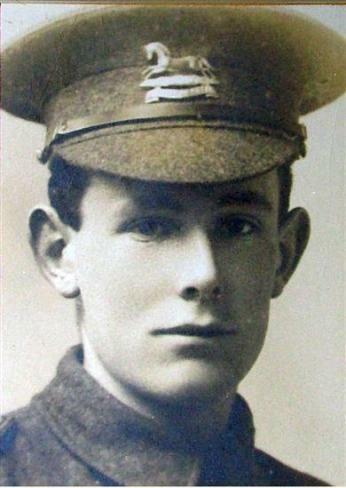 He was then joined to the 8th London Regiment Post Office Rifles, 58th Division. He was awarded the Military Cross. During several days of severe fighting he kept in close touch with the battalion, working unceasingly without rest during the whole period, dressing the wounded including the French. He showed great initiative in establishing forward regimental aid posts, reconnoitring their sites beforehand under heavy hostile shell fire, thus greatly assisting the rapid evacuation of casualties. His courage and cheerfulness throughout a period of great strain were beyond praise. He was at his Regimental Aid Post when he heard that a gas shell had burst on the Battalion H.Q. at Villers-Bretonneux, had pierced the roof, and penetrated into the cellar. He at once went to attend the cases and, when he had finished, returned to his post. Later, he complained of feeling ill and lay down. 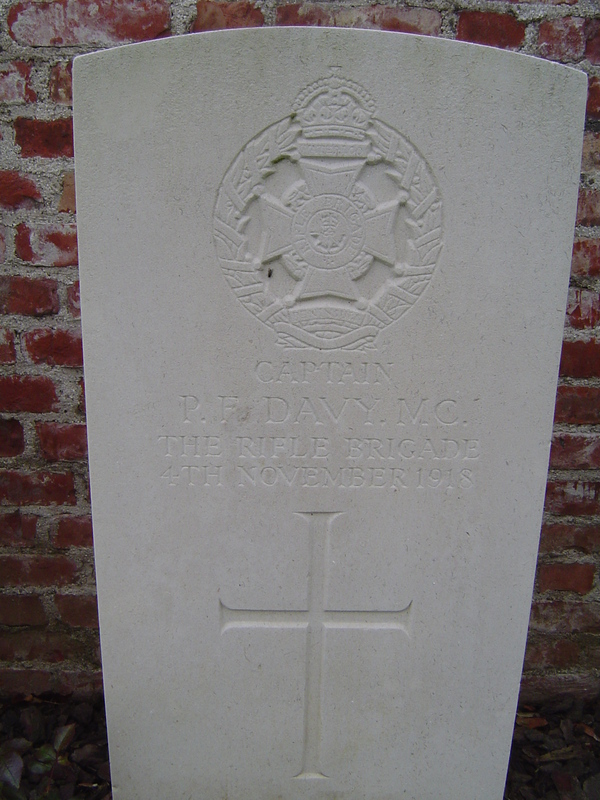 On getting worse, he was removed to the 8th General Hospital at Rouen where he died on 26 April 1918. "Captain Massy Miles was with this division for a long time, and was one of my ablest and most gallant officers. He did splendid work during the retirement in March, and was awarded the Military Cross for his gallant work. We all deplore his loss deeply, and I lose a valued friend and trusty officer." 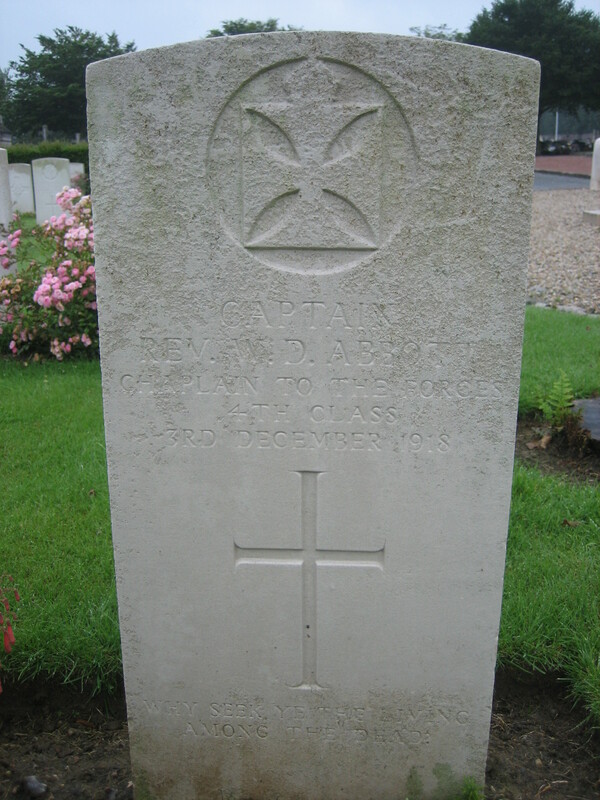 He is buried in the St Sever Cemetery, Rouen. A prize was established in his memory by his widow at the Royal College of Physicians of Ireland. Edgar Mitcalfe was the only son of Conrad Mitcalfe and his wife Mary, and lived in Banbury. His father was an Agricultural Engineer and the family lived at 10 Calthorpe Road in Banbury. Mitcalfe enlisted into the 17th London Regiment on the 13th March 1917, and remained on training in the UK until June 1917 when he progressed over seas with the Regiment. He went to Palestine with the Londons,and was killed in action on the morning of the 2nd May 1918 near Jerusalem. His body was never found and he is commemorated on the Jerusalem Memorial. He was 20 years old when he died. John Champneys was born on the 19th April 1899 to Margaret and Edward Champneys. Edward was a landowner and veterinary surgeon,and the family lived at Ottenpoole Manor, Sellinge in Kent. He was a pupil at the school between 1914-15. 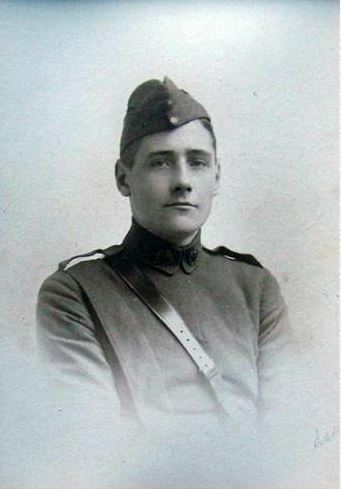 He was in the school OTC and applied for a commission in the Royal Flying Corps on the 19th May 1917, when he was serving with the Territorial Rifle Brigade. He was commissioned in the Royal Air Force and served in 73 Squadron. 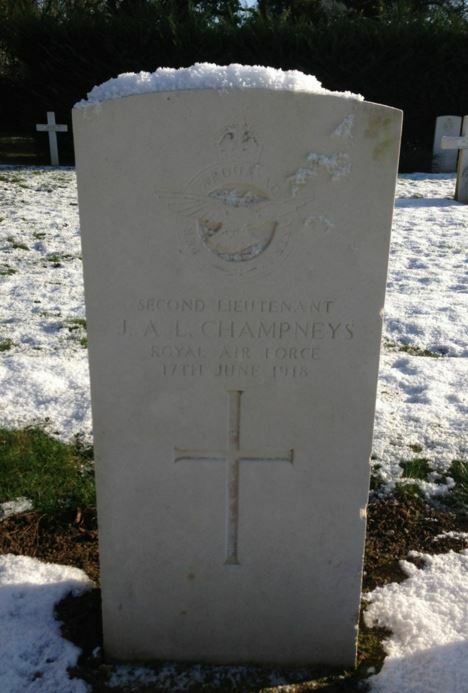 At 3.10pm on the afternoon of the 17th June 1918, only 3 days after the squadron had moved from Fouquerolles to Planques, Champneys was on a training flight and was coming in to land when his Sopwith Camel C8289 suddenly flipped over in the air and nose dived into the ground, killing Champneys instantly. His grieving family had a large bell commissioned in his memory which hung in the church of St Stephens, Lymme, Kent. There was also a stained glass window in his memory in the same church which was destroyed in a bombing raid in WW2. John Boole was the second son of Kate Eliza Boole and lived in Llandaff, Cardiff. He was a pupil at the school between 1905-1907. On leaving the school he travelled abroad where he worked as an engineer. 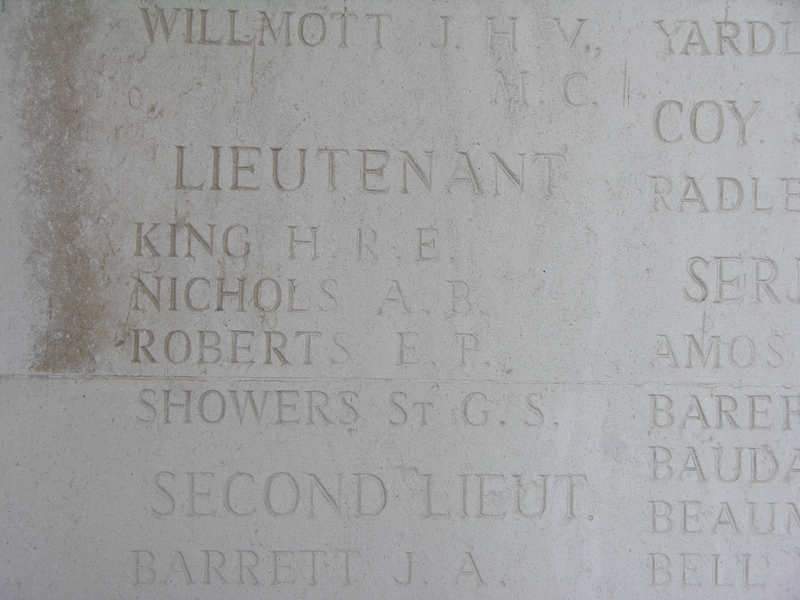 At the outbreak of War he returned to the UK and was commissioned as a 2nd Lt into the Royal Engineers. He served with the regiment throughout and went through the Somme and Passchendaele. He was gazetted into the Royal Air Force in 1917 and was undergoing his training with the RAF at the Central Flight School located in Brecon. 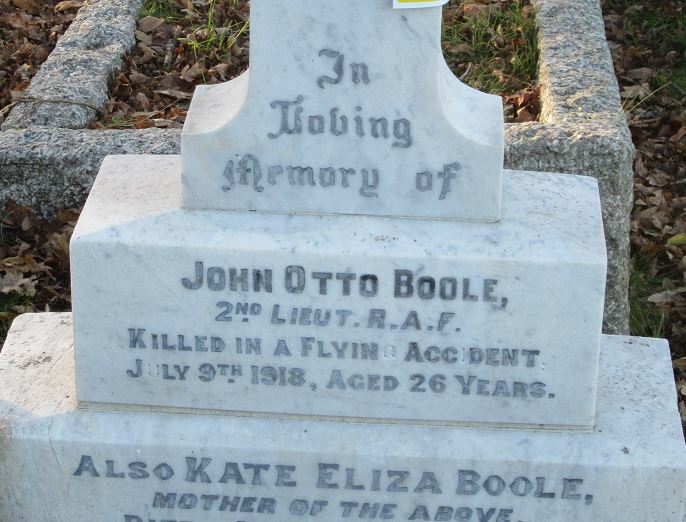 On the afternoon of the 9th July, Boole was flying a Sopwith Explorer D8063 when he was in a mid air collision with 2nd Lt Richard Carter Pellow, above the Brecon Beacons. Both men were killed in the crash, and Boole was buried in Penarth Cemetery. He had two brothers, Phillip who was a Lieutenant in the Royal Artillery and Cecil, a teacher in pre-war Germany. He was interned and spent the War teaching Latin and History in a prison camp. Boole was 26 years old when he died. Edward Harvey was the only son of James and Ada Harvey and came from Coffin Spring Lane, Frome in Somerset. His father, was 31 years older than his mother, and on the 1901 census when Edward was 5, his father was shown as being 79 years old, and living off private means. He was a pupil at the school between 1906-1913 and on leaving attended Hertford College, Oxford. He enlisted into the RAF in 1917 and was given clerical work, until he was transferred into the Artists Rifles in 1918. He was killed in action on the 22nd August 1918 on an attack near the village of Le Barque, and is commemorated on the Vis en Artois Memorial. He was 22 years old when he died. In his will, he left an estate of over £66,000 a phenomenol amount of money in those days. 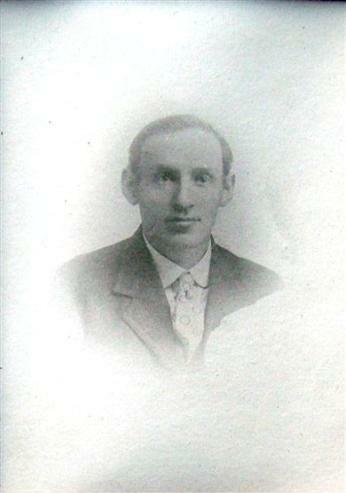 Arthur Whiting was a pupil at the school between 1900-1902 and on leaving he embarked on a career in engineering. He was first employed as an apprentice engineer at Blackstone in Stamford, before moving to London where he worked at Whiting's Engineering plant as a motor engineer. In 1914, he volunteered to join the Navy and was gazetted as a Sub Lieutenant into the Royal Naval Reserve. He was the second officer on an anti-submarine patrol boat off the coast of Ireland. 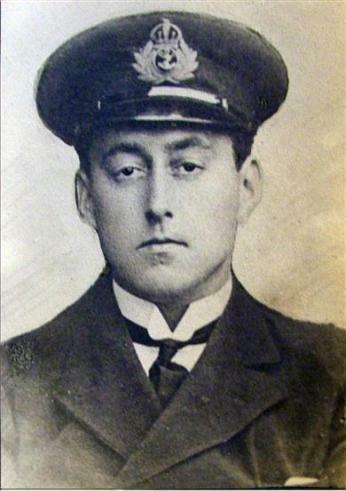 In eth Spring of 1915, he joined his brother Lieutenant Harold Whiting in anti-submarine duties in the Channel. He was given his command, working on a patrol boat in the Eastern Mediterrenean, and was promoted to Lieutenant in 1917, and worked on the North Sea transport escorts. On the afternoon of the 21st August 1918, the Steamer Griselda left the port of Whitby and when she was just out of the harbour, the mate spotted a disturbance in front of the ship. A torpedo, fired by a submerged German U-Boat missed the front of the ship by a matter of inches and crashed into the rocks on the left hand side of the bay. Despite the impact the torpedo mounted the rocks and was stranded, undetonated. The following day, Whiting, in command of HMML 403 was ordered to recover the torpedo. HMML 403 was a patrol boat built originally in Canada, weighing 45 tonnes and measuring 18 metres in length. The boats were known as Tinder Boxes owing to the highly dangerous mix of petrol and pariffin which was used to power the 440 bhp engine. Whiting left port with a crew of 10 and 2 torpedo experts, watched by a large crowd of onlookers who gathered on the clifftops and beaches. The torpedo was recovered successfully on board, when one of the experts was attempting to remove the detetonator when something went wrong and the torpedo exploded. This in turn ignited the fuel tank on the ship, and caused the depth charges she was carrying to detonate. HMML 403 was blown to pieces. The explosion was so severe that houses in the shoreline village of Runswick were damaged, windows were blown in, roofs collapsed and the stern of the ship was launched over 100 metres and landed on the beach. Miraculously, the first mate was feeling unwell and was resting in the bunks below decks and was blown clear of the ship, becoming the only survivor. William Barr was the only son of Robert and Eva Barr and lived at 2 Priory Road, Chiswick. His father was a writer and editor by profession. He had an older sister called Laura. He was a pupil at the school between 1900-1903 and on leaving the school he studied Journalism at the London School of Newspapers, having graduated from Exeter College, Oxford with a degree in English. A number of journalistic appointments followed, including The Aeroplane magazine, and the editor of The Idler. The Idler was one of the first periodical magazines which was founded in 1892 by his father Robert Barr. Robert was great friends with Jerome K Jerome who was a guest editor and contributor, and also Sir Arthur Conan Doyle. William is not mentionned as an editor, but the records for the magazine end in 1912. William spent some time in Morocco, with a particular interest in the tribes of the mountains and was in the process of writing a book when the war broke out. He enlisted immediately and served as a Private in the Seaforth Highlanders, and he served throughout all the major campaigns and battles. During the war he wrote regularly for a number of the London papers. He was commissioned as a 2nd Lieutenant into the Royal Garrison Artillery in 1917 and then served with the 328th Siege Battery in France. On the 25th August 1918, the battery was in action supporting what would become known as the Battle of the Scarpe. 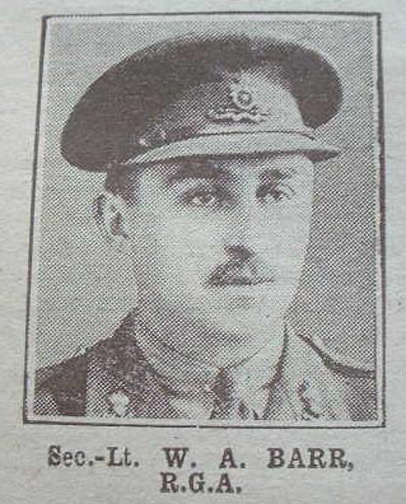 Although the battery was some 1200 yards behind the front line, they suffered badly at the hands of German artillery and Barr was killed when his battery was shelled. His body was exhumed in 1919 and moved from the small battlefield cemetery where he had been into Croisilles Cemetery near Arras. He was 36 when he died. 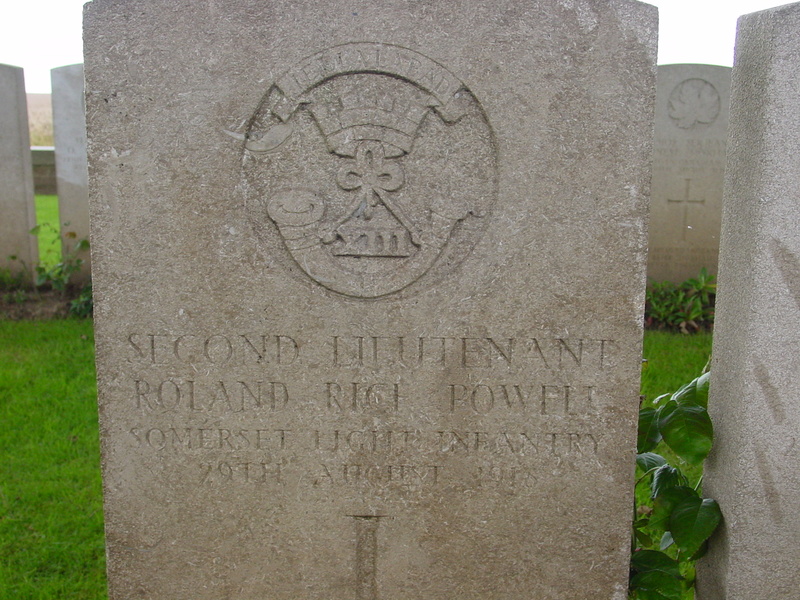 Roland Rice Powell was the eldest of three sons of Wilfred and Margaret Powell of 30, Hill Road, in Western Super Mare, Somerset. His father was a lawyer by trade. 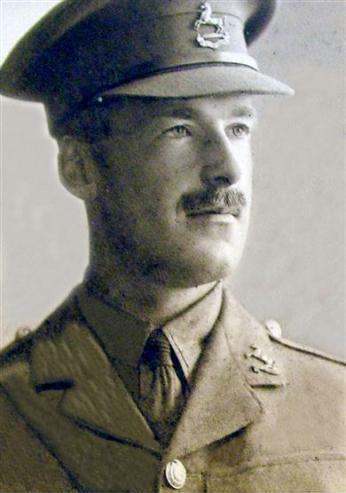 He was a pupil at the school between 1913-1916 and on leaving the school he was commissioned as a 2nd Lieutenant into the Somerset Light Infantry. On the night of the 28th August 1918, the Battalion was moving up into trenches between Arras and Bapaume, where they were due to relief the 4th Canadian Infantry. The war diary describes a very dark night, with difficult conditions and it was very hard to see where the men were heading. The Germans were reported as harassing the men with constant machine gun and sniper fire and during the relief Powell was shot and killed. Of all the pictures of the Old Bloxhamists, it is perhaps Powell's which saddens me the most. He is a little more than boy, thrown into a mans war. The picture of him in uniform is so poignant it never ceases to bring a shiver down my spine. He was 19 years old when be died. Laurence Courtney was the only son of the Reverend Stanley Courtney and his late wife Gertrude and came from Beckenham in Kent. He was a pupil at the school between 1896-1900, and was a stock broker by trade. He served in the London Regiment Royal Fusiliers and was killed in action on the 13th September 1918 - there is no other information about his service. 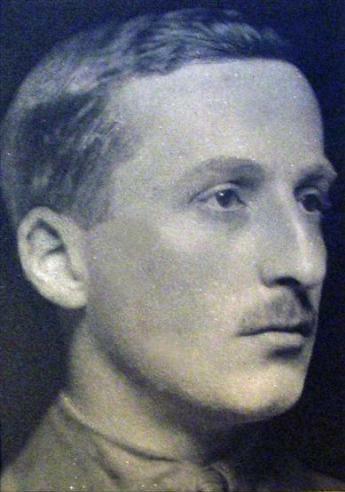 Charles Hammill could not be further from the stereotype of the fresh-faced young subaltern that we tend to think of schools like Bloxham producing in great numbers in the Great War. He was 38 years of age when he died, he was a private soldier rather than an officer, and he was serving in the Australian forces. Furthermore, he could be said to have led a colourful life before the war, and, if we stretch the euphemism to breaking point, seems to have been something of a rogue. 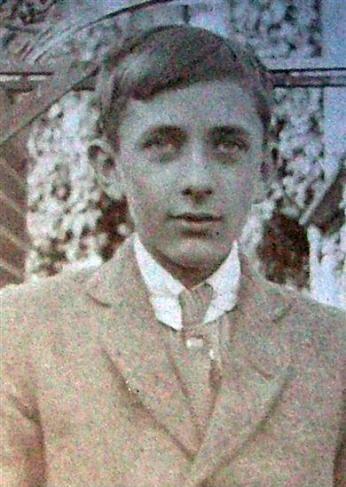 Charles Raymond Hammill was born on 18 September 1879, and arrived at Bloxham School in September 1891. Charles’ mother Maude was the daughter of Sir Henry Piers, who married Denzil Hammill, a Major in the Gordon Highlanders, in September 1870. They had four children, two sons and two daughters. Charles was the youngest of the four children, along with John Eustace, Evelyn Maude and the oldest, Cicely Mary. She would go on to become a leading member of the Suffragette movement and an important writer on women’s rights. Finding the Pankhursts too autocratic, she joined the rival Women’s Freedom League and, changing her surname to Hamilton, was a prolific author of plays and novels as well as acting as press secretary for the International Woman Suffrage Alliance in Geneva. Charles seems to have endured a miserable and disjointed childhood. By the time he arrived at Bloxham School in September 1891, his mother had long disappeared. Though the family chose never to talk about this in later years, it is believed that she had been committed to an asylum. His father was frequently away on active service – the battalion he commanded, the Gordon Highlanders, played a leading role in the victory at Tel-el-Kebir in Egypt in September 1882, and he was then engaged in the Sudan campaign. The children were farmed out to foster parents; at the time of the 1881 census the one year old boy was recorded as being in the care of Octavia Huntington and Amelia Coombes, a Foreign Bond Holder and a children’s nurse respectively, living in the house of Isabella Style, widow of Baron Style of Avon, at 102 Sydney Place in Bath. Later on, Charles and the other children were boarded in Clapham, an wretched experience according to Cicely’s biographer. When he returned from the Sudan Hammill, now a Major-General, took the younger children to Bournemouth to live with his sisters – on Charles’ arrival at Bloxham his address was recorded as being ‘c/o Miss Hammill, Fairlight Glen, Bournemouth’, Fairlight Glen being a boarding house. while by the time he left, it was listed as Cumnor Terrace, Bournemouth. Later still the address of Miss AJ Hammill had changed to Lyall Rd., still in Bournemouth. The Major-General’s death on 2nd December 1891, three months after Charles had started at boarding school, left him an orphan. Charles was placed in Division III on his arrival as an eleven year old, at a time when classes were based on ability rather than age, so boys could be studying alongside others considerably older or younger. By January 1893, he had progressed to the Upper II Division. By now he was making his name as a sportsman, playing for the 3rd XI in football as a goalkeeper and in cricket as an opening bowler. At the start of the 1895 season, he forced his way into the 1st XI, taking five for 20 in a convincing win against Trinity College, Stratford. The following month the 1st XI travelled to Dean Close, still one of Bloxham’s arch rivals 120 years later, and the details of their journey makes interesting reading – nowadays the trip to this fixture takes 45 minutes on a coach. In 1895 the team left the school at 7 o'clock the eleven after an early breakfast and set off from the station in Bloxham by the 7.20 train for Cheltenham where they arrived soon after 10 am. The match began about 11.15am, and Dean Close chose to bat first. Charles took three wickets in each innings but Bloxham lost by 14 runs, the game being decided on the first innings. When the war broke out Charles was living in Stewart Street in Leichhardt, a suburb of Sydney, and his occupation was listed as ‘labourer’. There is some confusion over whether he was married or, as the embarkation roll suggests, single. He enlisted into the Australian Army (the 4th Australian Infantry Battalion) on the 16th April 1916. He had actually tried to enlist previously, but his application had been refused on the grounds of being ‘morally unfit’ and also due to his extensive and seemingly untreatable collection of sexually transmitted diseases. His medical examination recorded that he was suffering from skin cancer on his right leg and had a substantial tattoo of a decapitated woman on his right arm. Charles left Sydney on HMAT Euripides on 9th September 1916 and arrived in England in November 1916, where he promptly went AWOL. He was detained by the Military Police in Swanage and was punished by the military authorities. Further disciplinary issues followed, mainly around his frequent and excessive alcohol consumption. He was in and out of hospital before progressing to France, when he was severely wounded in May 1917 at the Battle of Bullecourt. He spent some time in hospital and appears to have developed problems with his right wrist, caused by a gun-shot wound. Further surgery followed and he finally rejoined his unit in November 1917. He was once again in hospital in June 1918 and had surgery to remove his tonsils, before finally rejoining his unit on the 3rd August, just in time for the great Allied push which would take them to victory. By now the Australians under Monash were regarded as an elite element in the British army. The 4th Battalion of the AIF played a vital part in the advance on Hargicourt on 18th September 1918. The 6,800 Australian infantry, machine-gunners and trench-mortar men engaged that day captured their objective, breached the outer defences of the Hindenburg Line and took 4,300 German prisoners and 76 guns at a cost of 1,260 casualties to themselves. The British commander General Rawlinson reported to Haig that after this attack the Germans would no longer stand to face the Australians. 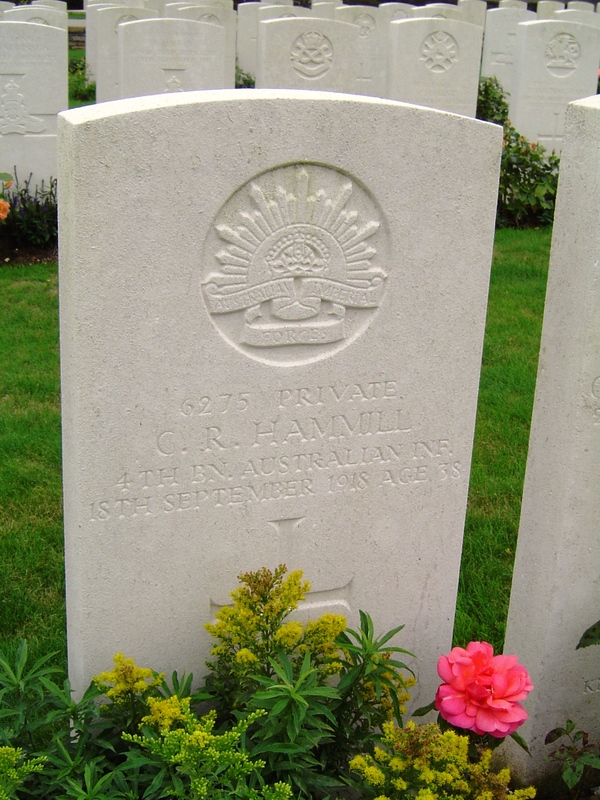 Sadly, Charles Hammill was killed during the day’s fighting near Hargicourt and is buried in nearby Roisel Communal Cemetery. The day he died was his 39th birthday. 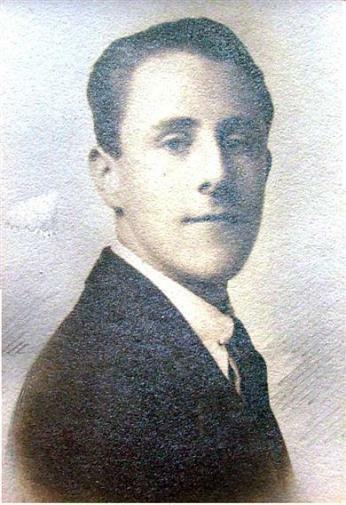 Leonard Burton was a pupil at the school between 1914 and 1916. On leaving the school he applied to become a pilot cadet in the Royal Air Force. He joined Flying School Number 3 at Blandford Camp in Dorset. At the Cadet Wing pupils received basic military training during a two-month course which included drill, physical training, military law, map reading and signalling using Morse code. Once completed they moved on to the School of Military Aeronautics to begin a two-month course of military training and ground instruction. The topics covered included aviation theory, navigation, map reading, wireless signalling using Morse code, photography and artillery and infantry co-operation. The students were also taught the working of aero engines and instruments and basic rigging. The next phase involved flying at a Training Depot Stations (TDS). Cadets were expected to complete a minimum of 25 hours elementary flying training - both dual and solo - on Avro 504 aircraft logged over three months. Thorough ground instruction was also provided. This achieved, student pilots received the grade 'A'. Cadets remained at the same TDS for the second phase of their instruction. This two-month course included a further 35 hours flying time with a minimum of five hours on a modern 'front-line' type of aircraft. Student pilots also had to demonstrate proficiency in cross-country and formation flying, reconnaissance work and gunnery. Successful cadets were graded 'B' and commissioned. Robert Nisbet was the son of Robert and Joan Nisbet and lived in Bampton, Oxon, having been born in Lothian Scotland. He was a pupil at the school between 1912-1914. Nothing is known about him, other than he was killed in action by shell fire in Kalat Shargar, two days before the campaign in Mesopotamia finally came to and end. Phillip Davy was born on the 26th February 1894 in Islington, London, the son of William and Ada Davy. William's profession was listed as being a stock jobber. He was a pupil at the school between 1906-1911 and on leaving the school he worked as a Bank Clerk. He was a member of the Militia having served as a Private in the 50th Gordon Highlanders. He enlisted into the Canadian Army at the start of the War and immediately served overseas. He was wounded for the first of 3 occasions at the Battle of Festubert in May 1915, where a gun shot wound amputated a finger off his right hand. He was deemed fit for continued service and returned to the Front Line. He saw action through the Somme campaign, having been commissioned into the Rifle Brigade. He was wounded in July 1917 in Belgium, and was then gassed in October 1917. He was awarded a Military Cross in 1917, as well as a Croix de Guerre and a Chevalier de l'Ordre de la Couronne from the Belgian government. 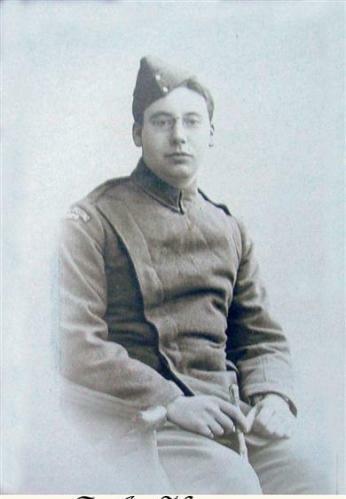 He was promoted to Captain in August 1918, and in the November he found himself in action once again, as the Allies made the final push to end the War. On the morning of the 4th November, the 13th Rifle Brigade went into action, to drive the Germans out of the small French village of Caudry. As the 13th RB crossed an apple orchard, Phillip's luck finally ran out. A burst of machine gun fire rang out and he was shot through the chest, dying where he fell. Just seven days later the bells rang out to mark the Armistice. It seems terribly sad that a man who served through the whole War should die so cruelly close to the end. So near and yet so far. 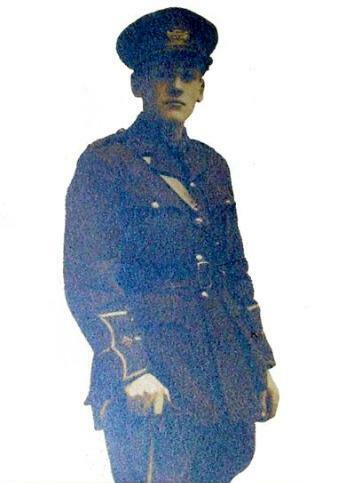 He was the final Bloxhamist to die in combat in the Great War, having also been one of the first to enlist. He was 24 years old when he died. 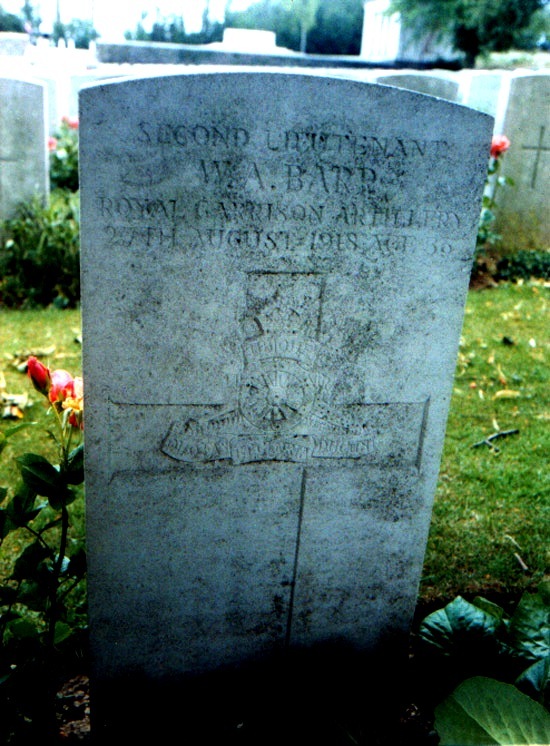 William Abbott was the son of the Reverend David Abbott and was born on the 22nd July 1885 in Lincoln. After Bloxham he attended Brecon School and was ordained as a Priest in 1909, serving in a parish in Manchester. 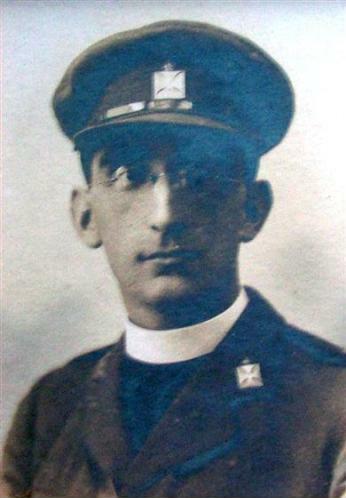 He was commissioned as Chaplain to the Forces in June 1918 and served in France. 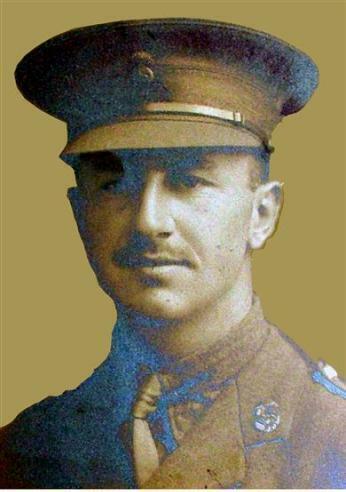 He was involved in the grim task of battlefield clearance and identifying the thousands of bodies which lay on the battlefields of Northern France. He became ill and died of pneumonia in December 1918 at the general hospital in Dieppe. His commanding officer wrote of him that he was an inspirational man who brought so much to all who knew him.